Bennington pontoon boats are made with quality in mind and we have them here at Thayer Marine. 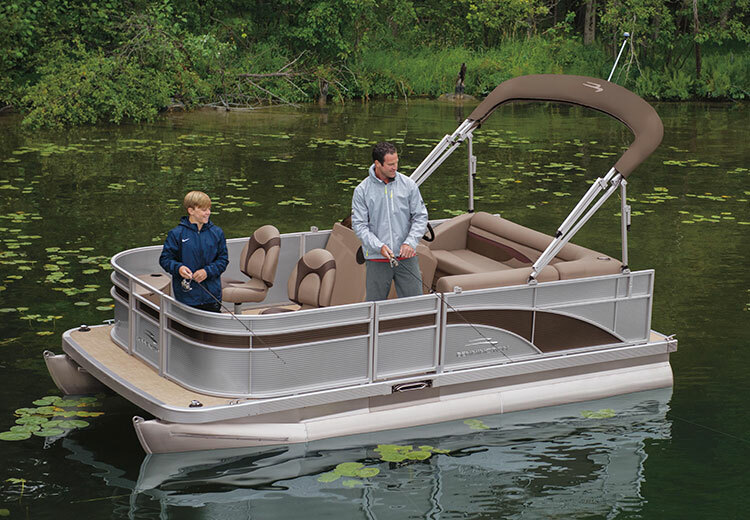 All Bennington pontoons are made with the best materials and it shows in all their boats. 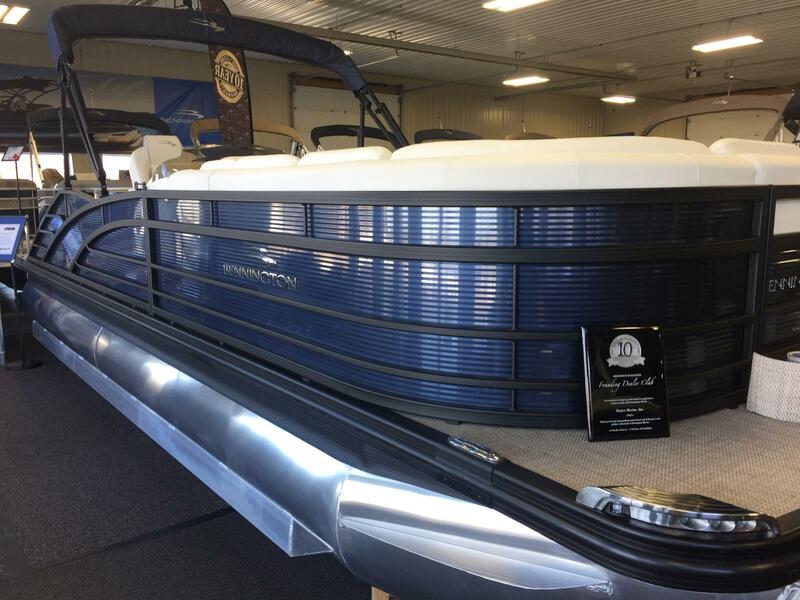 Come see for yourself at our Jackson, MI location and talk with our team and let us get you in the best pontoon boat for your needs! 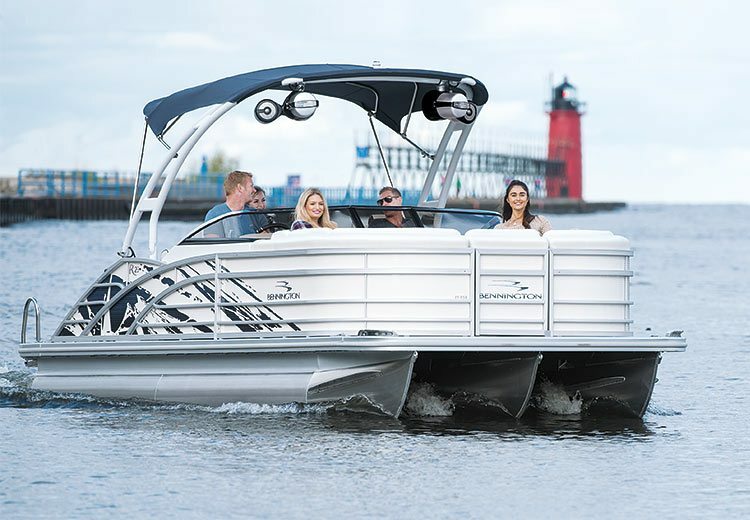 As the premier boat dealership in the greater Jackson area, Thayer Marine is proud to offer a wide range of Bennington Pontoon Boats. For more than 20 years, Bennington has been designing, engineering and crafting boats with the highest quality materials. With incredible attention to detail in everything from ultra-premium vinyl to stainless steel hardware, every piece on these amazing vessels is hand selected and perfected with the end user in mind. You’ll find powerful engine specifications, stylish aesthetics and ergonomic comfort standard on every Bennington. 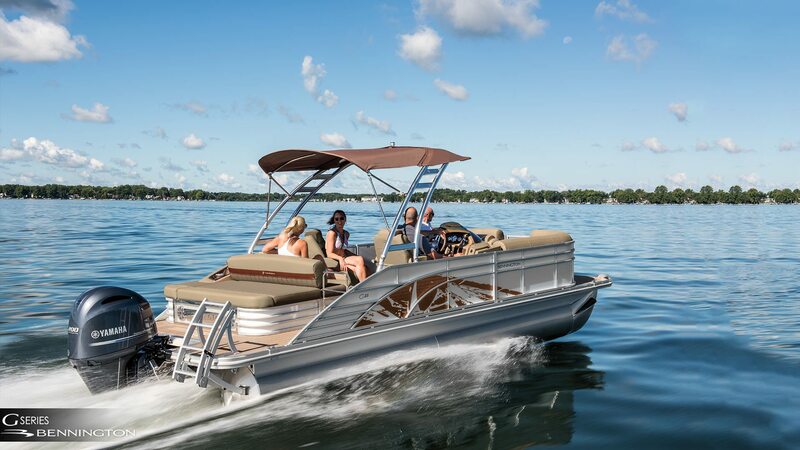 With trend-setting design and rock steady construction that exceeds the industry standard, these pontoons will change the way you think about boating forever. Open a new world of adventure for the whole family with G Series, offering models up to 25′. You’ll enjoy peak performance, unmatched style and true quality on a pontoon that more than lives up to the Bennington name. The head-turning Q Series brings you the ultimate in class and luxury. Choose from a vast selection of design enhancements, optional equipment and color choices allow you to express yourself like no other boat on the water. In a fresh twist on a timeless design, the QX Series boasts Bennington’s exceptional attention to detail in sleek lines and handcrafted styling. This new fiberglass line empowers your creative side to find a boat that is perfectly your style. Uncompromising in value and quality, the S Series will have you anticipating your next trip to the water. With models up to 24’, this is the perfect entry-level boat for someone who has been waiting to set sail on a legendary Bennington craft. Built for everyone’s enjoyment, these vessels combine comfort, style and function at an affordable price tag. Check out our stern lounge seating options, fishing features, Bimini tops, privacy enclosures, even an on-board sink! A premium take on the already bold SX Series, SXP pontoons are the envy of everyone on the water. Flaunt luxurious trim, deluxe seating and smart, stylish layouts. Indulgence awaits in only a way a Bennington can offer. Experience the very best with the power and luxury of the R Series. You’ll find the optimal combination of quality seating, performance and optional equipment. 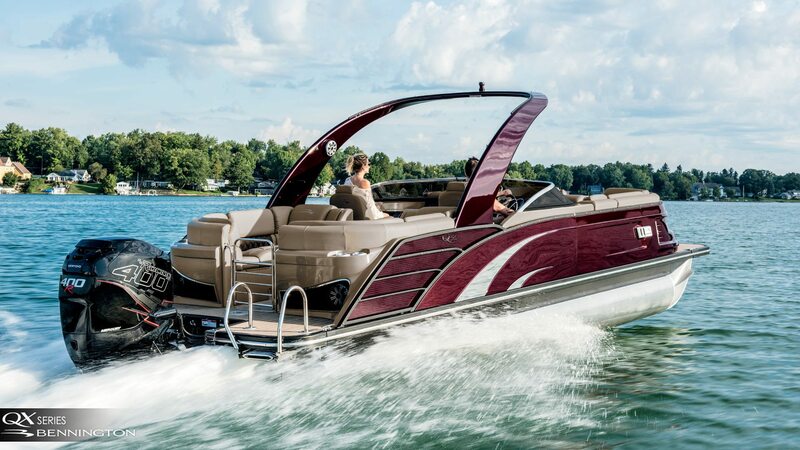 With models up to 28′, this is a boat for the most discriminating buyer. 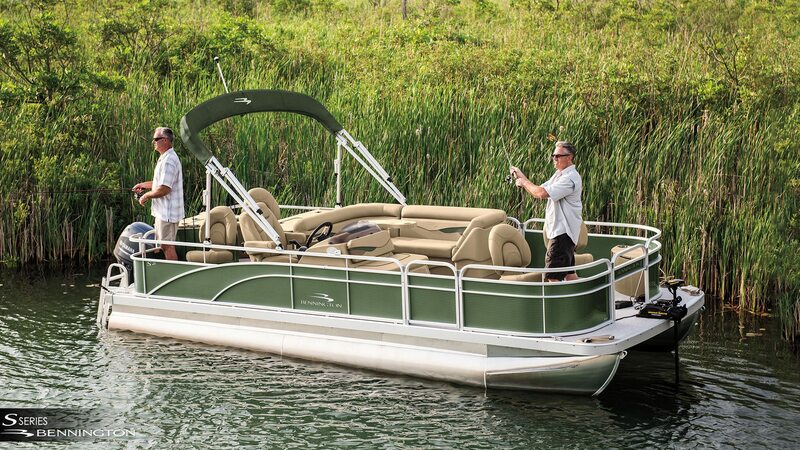 Contact us online or give us a call at (517) 787-3000 with any questions about our incredible offering of Bennington boats.